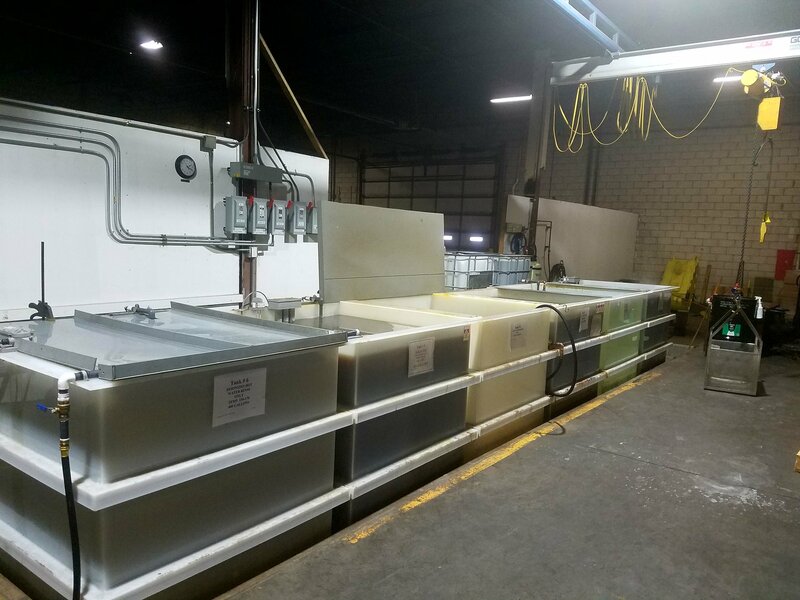 On March 22nd, 2017 Orbit Industries, Inc. introduced a new Chemical Processing line for the etching of aluminum aircraft wheels and other aluminum products. The line is located at our company headquarters in Middleburg Heights, Ohio. The new line allows for increased inspection capacity in Aluminum Etching and was installed to respond to increasing customer demand. By segregating this process from its previous location it will also open up additional capacity for materials requiring Nital Etch, Titanium Etch, and other Chemical Processing services. The project was completed in 3 ½ months from concept to production by the efforts of many staff members and input from one of our customers. “The new line was an audacious task which needed to be completed in a short period of time to support the needs of one of our valued customers. I am proud that Orbit was able to accomplish such a task in such period of short time. After a month of operation we have created enough capacity to secure that customer’s confidence in Orbit as a true partner” said Bob Aleksandrovic, COO of Orbit Industries. For more information on our Chemical Processing services, please submit a quote request and a member of our staff would be happy to assist you.